White-throated Sparrow: tap or click to view animated map. Darker or more purple colors indicate higher numbers of birds. This week, eBird introduced a new class of maps that show where North American birds are, and how they’re doing, at a finer scale than has ever been possible before. Using sightings from more than 12 million eBird checklists and satellite data from NASA, the new eBird Status and Trends analyses take the idea of a field guide range map and supercharge it—using data and models to estimate bird abundance every 1.7 miles and every week of the year across most of Canada, the U.S., and Mexico. The result is a pointillist illustration of a bird’s range that can be animated, creating a captivating, fluid portrait of where a species goes throughout its annual cycle. In 2015 we wrote, “Today’s maps are made of ink and paper, but tomorrow’s maps will be made of pixels and data.” And today, that’s the era that eBird Status and Trends ushers in. Suddenly a range map doesn’t have to be based on a single expert’s knowledge, drawn with opaque ink, and printed on a map the size of a postage stamp. It can be alive: driven by millions of data points, intricately detailed down to the county level and below, and moving to show the way birds move with the seasons. And these data products go far beyond range maps. They show abundance (not just occurrence), allowing birders, conservationists, and scientists to distinguish a species’ strongholds from areas where it’s scarce. The maps are created with models that include environmental data, which means eBird Status and Trends can also tell you which habitat types are best for finding a given species from week to week. And for a growing subset of species, the eBird team can even map a species’ population trends over the last decade—an especially difficult feat owing to the noisy nature of observational data. The project currently covers 107 North American species, with more to be added next year. All of the maps, graphs, animations, and other data products are free for anyone to view (with a free eBird account you can even download them). The free access reflects eBird’s guiding principles: to collect data that the birdwatching public voluntarily provides, and transform it into products that benefit conservationists and scientists. Using eBird is a way for every birder on the planet to enjoy their hobby while making the world better for birds. The very fine spatial resolution of the eBird models produces maps that look like conventional range maps but contain far more information. For instance, in this year-round map for Cedar Waxwings, it’s immediately clear that the species is much more numerous in eastern North America than in the interior West. This distinction isn’t visible in a standard field guide range map. Cedar Waxwings are common across much of North America. They winter across the southern U.S. (blue) and move into northern Canada in the breeding season (red). Darker shades show regions where Cedar Waxwings are more abundant. See the full set of Cedar Waxwing data products and maps. Cedar Waxwing by Darren Clark/Macaulay Library. The above year-round map can be broken out to show the four seasons separately. Again, the pointillism of the abundance estimates draws attention to subtle features, such as the relative scarcity of Cedar Waxwings in the Upper Midwest in winter; and higher numbers in the center of the continent during spring migration than during fall. Here’s the Cedar Waxwing year-round abundance map broken out as four separate maps. Within each map, darker shades indicate areas where Cedar Waxwings are more abundant. You can also see the map as an animation. All of these maps can be downloaded as high-resolution graphic (.png) files, so you can zoom in to see the fine details of a species’ abundance in your area. The most riveting aspect of the abundance maps is the ability to combine weekly estimates into a single, fluid animation that shows how a species moves across the continent in response to the changing seasons. Rufous Hummingbird: tap or click to view animated map. Animated abundance maps reveal the Rufous Hummingbird’s looped migration—north along the Pacific Coast in spring; south through the Rockies in fall—in a way static range maps can’t. The map indicates abundance, not just range: darker or more purple colors indicate higher numbers of birds. See the full set of Rufous Hummingbird data products and maps. Red points indicate areas where Red-winged Blackbirds are declining; blue indicates increases. See the full set of Red-winged Blackbird data products and maps. Inset photo by Liron Gertsman/Macaulay Library. For the eBird team, the most exciting new feature is the ability to detect population trends. It’s exciting because knowing trends is essential to conservation planning, but estimates have for decades been plagued by noise in the data. When a data set consists of reports from thousands of observers who are counting hundreds of species, it’s hard to be sure that a rise or fall in reported numbers is real. But for a growing subset of species, eBird can now calculate relative increases or decreases at a local level with high statistical confidence. The grid is slightly coarser than the abundance maps—trends are estimated for roughly 15 x 15 mile areas—but that’s still an unprecedented increase in detail. The result is a map that, instead of depicting numbers of birds, shows where a species is increasing, declining, or staying roughly level. As of December 2018, trend maps are available for 39 species. The colored areas indicate statistically significant trends (blue = increasing; red = decreasing). The size of each dot indicates abundance, so a quick scan of the map can reveal where the most important trends, both up and down, are happening. These maps—and the statistical models that underlie them—will aid scientists and land managers in first locating areas of concern and then probing the reasons behind the population changes. Habitat associations for Canada Warbler in the Appalachian Mountains. The black line indicates relative abundance; the colors indicate habitat types the species either uses (above the zero line) or avoids (below the zero line). View the eBird page for full legend and explanation. Inset photo by David Crowe/Macaulay Library. Because the eBird maps are produced by a rich set of data-driven models (see below), every point on every map has habitat data associated with it. So in a neat reversal of the map visualization, the eBird team created a way to view what kind of habitat a bird is likely to occur in. It’s another key resource for land managers and scientists hoping to refine knowledge of habitat associations or prioritize the kinds of land that need conservation. For bird watchers, it’s a source of inside information on where to look for a target bird from week to week through the year. Pull up the habitat relationship tool, enter a geographic region, and eBird produces a map of habitat associations across the calendar year. For example, imagine you’re in the Appalachians and hoping to find an elusive species like Canada Warbler. At a glance, the habitat associations graph indicates you need to look between late April and early September, with your best bets (the black line) coming during migration in early May and late August. The species breeds mainly in deciduous forest (bright green on the graph) and mixed forest (olive green), but during migration it also shows up in urban areas (gray)—so keeping an eye out in a wooded park or shrubby backyard might work, too. eBird Status and Trends maps are a combination of lots of data (including eBird observations and habitat data from NASA satellites), innovative models created here at the Cornell Lab over the last decade by a team spearheaded by Daniel Fink, and literally years of processing time on cloud computers provided by Amazon Web Services. This work was made possible by the National Science Foundation, Wolf Creek Charitable Foundation, Leon Levy Foundation, Institute for Computational Sustainability, NASA, and Amazon Web Services. Fink’s models start with eBird data about where people actually see (or don’t see) birds. Then, the model uses satellite-derived environmental data to understand what kinds of habitat a bird is associated with. Finally, with the help of those Amazon Web Service computers, the model looks beyond the points where birds have actually been reported to estimate where else the species is likely to occur, filling in the gaps on the map. For a more detailed description of methods, see the eBird Status and Trends FAQ. eBird Status and Trends data-driven products are available for 107 North American species, with more planned for the coming years. 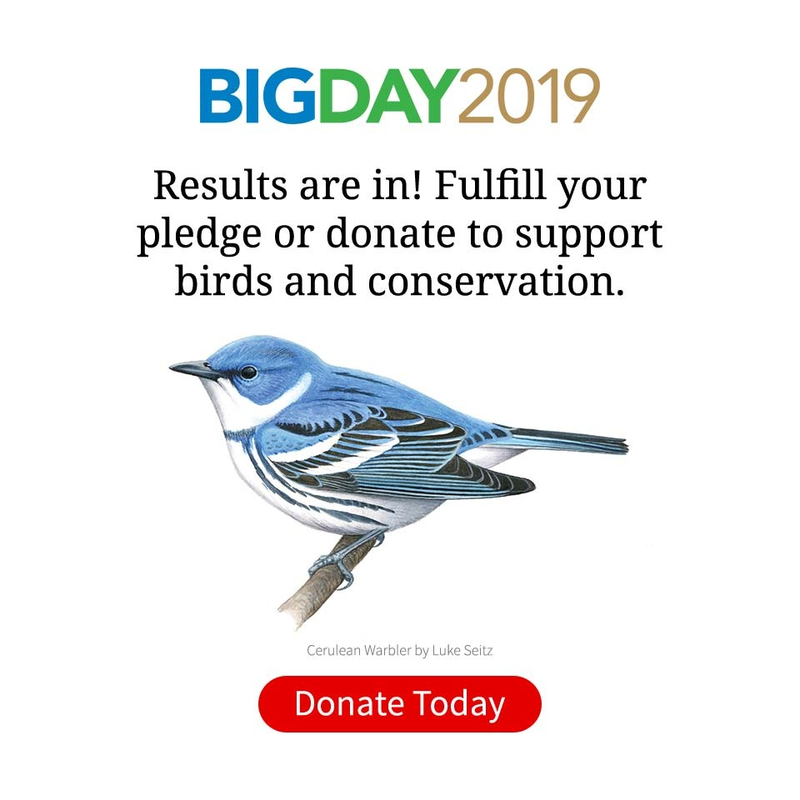 They are the work of Daniel Fink, Tom Auer, Alison Johnston, Matthew Strimas-Mackey, Marshall Iliff, and Steve Kelling—and of course, the 120,000 eBirders who contributed the data that built the models. We’re tremendously grateful to every person who reports data to eBird.